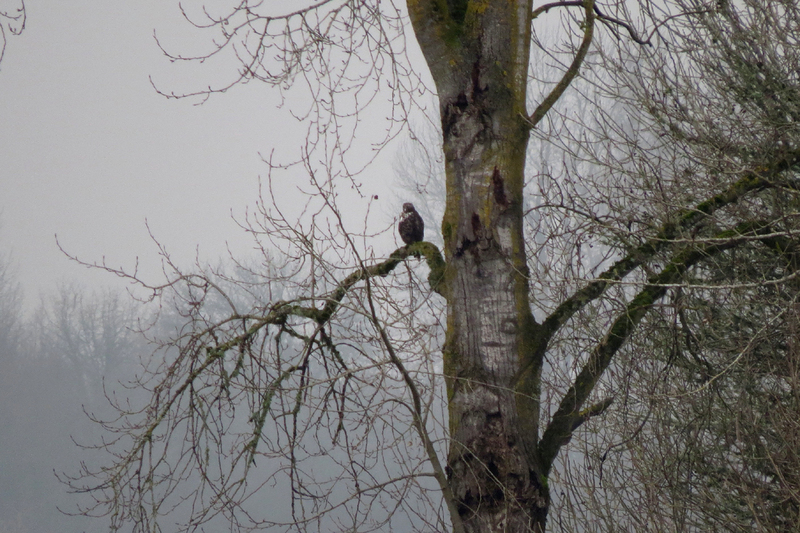 I led a tour on Sauvie Island this week. 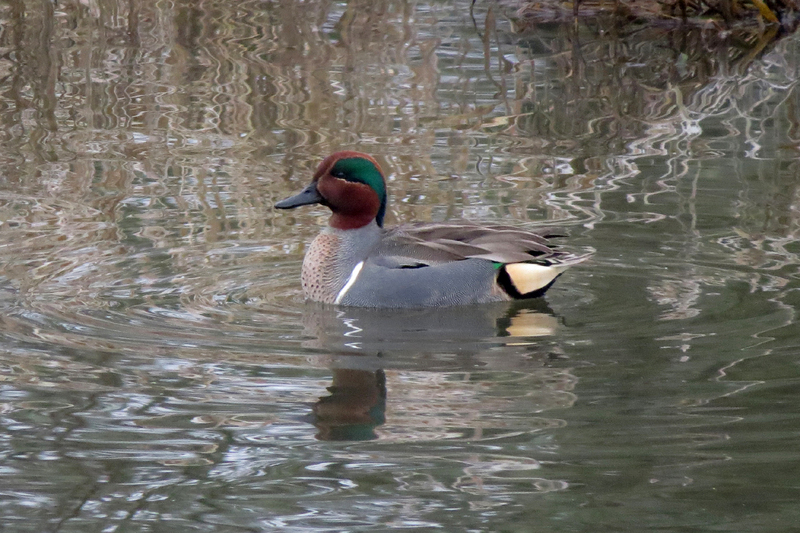 This is a great time of year for birding Sauvie, as the hunting season is over and there are still large flocks of waterfowl and wintering sparrows. 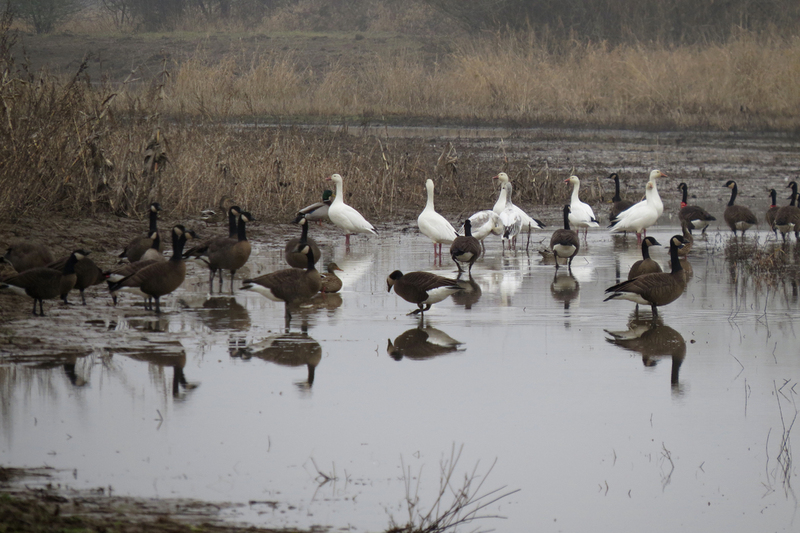 Here are some Snow Geese within a flock of Dusky Canada Geese. If you look closely you will find one Taverner’s Cackling Goose and a couple of Mallards. One Greater White-fronted Goose was hanging out with the Taverner’s Cackling Geese. Greater White-fronts are hard to come by in winter, so we were fortunate to find this individual. 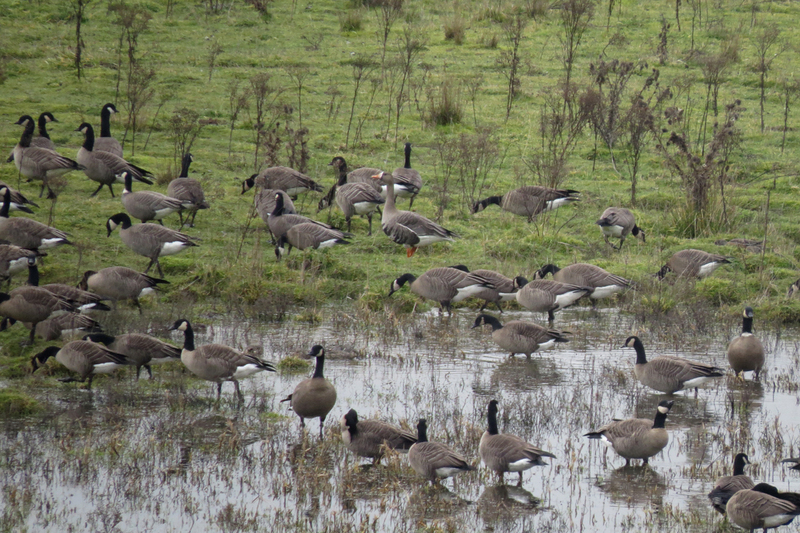 This entry was posted in OR Birding Sites, seasonal movements and tagged Dusky Canada Goose, Green-winged Teal, Rough-legged Hawk, Sauvie Island, Taverner's Cackling Goose. Bookmark the permalink. Nice photos. They make me feel as though I were there.